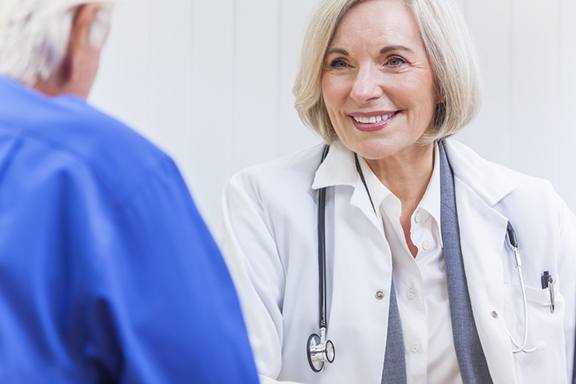 Should You Have Sleep Apnea Surgery? You find your nights--and your partner's--consistently interrupted by the symptoms of sleep apnea. Is there a cure? It may be that sleep apnea surgery is your best option. If you've tried such sleep apnea options as the CPAP machine but found them unsuccessful, sleep apnea surgery may be your best option. Can sleep apnea be cured? Yes, and an operation—sleep apnea surgery—may your best bet to overcome this serious sleep disorder. The type of procedure will depend on the specific physical characteristics of your mouth, throat or sinuses. No matter what treatment is decided upon, addressing the problem is essential. Sleep apnea is associated with high blood pressure, daytime sleepiness, and many other major and minor health problems. How Can Sleep Apnea Be Cured with Surgery? Obstructive sleep apnea is a condition in which breathing stops and starts while you sleep. The pause in breathing occurs when the muscles in the back of the throat relax and block your airway. In the upper throat are the soft palate or back part of the roof of your mouth, the uvula and the tonsils. If any of these are large enough to inhibit airflow, sleep apnea surgery may be necessary. A surgeon may be able to remove some tissue from the palate or the uvula, which would expand the opening for air to move in and out of the lungs. You may also be a candidate for a tonsillectomy if you have large tonsils. When children and teenagers are diagnosed with sleep apnea, large tonsils are often the cause. Children and adults may also be bothered by enlarged adenoids, a clump of tissue behind the nasal cavity. An adenoidectomy may also be an effective type of sleep apnea surgery for you, too. In the lower part of the throat, where the back of the tongue and the upper part of the larynx (voice box) are located, surgery may also help cure sleep apnea. The base of the tongue, which is often enlarged in obese individuals, can be reduced surgically. The epiglottis, which is the upper part of the larynx, can also collapse during sleep, blocking the airway. Numerous procedures can reduce the amount of tissue that makes up the epiglottis or the tongue based. Is a Deviated Septum at Play? For some people with obstructive sleep apnea, the problem lies a little north of the throat. A deviated septum, which divides the nasal cavity in half, may be corrected surgically to improve airflow. If you’re chronically congested due to polyps or other problems with your sinuses (including enlarged adenoids), surgery may be the solution. A procedure known as radiofrequency turbinate reduction, which uses radiofrequency energy to shrink tissue within the nose, can also be effective in some situations. If you’re wondering how can sleep apnea be cured without cutting away tissue or tonsils, you may be surprised to learn that electronics may offer an alternative. You know how a pacemaker can help keep your heart in a steady rhythm by sending tiny electrical shocks to stimulate a strong, steady heartbeat. Well, one type of sleep apnea surgery calls for the installation of a pacemaker-type device that sends little signals to your tongue to keep it moving forward slightly throughout the night. This essentially unblocks the airway if your tongue base is the problem. With any of these procedures, a thorough evaluation is necessary to determine what is needed and whether you’re a good candidate for sleep apnea surgery. Like any invasive procedure, sleep apnea surgery carries a certain amount of risk. If there are complications, they usually include bleeding or difficulty swallowing. However, these problems are temporary and typically disappear once the affected area heals. Anesthesia complications may also occur, but such issues are unusual. If you’ve been diagnosed with obstructive sleep apnea, you may have been advised to try continuous positive airway pressure (CPAP). Surgery is only one way to address the problem of sleep apnea. You may have been advised, for example, to try a continuous positive airway pressure (CPAP) devise. CPAP therapy involves a small bedside machine that pumps air through a flexible hose and a lightweight mask that fits over your nose and mouth. CPAP may be best for you, even if you didn’t do well with it on the first try. There are many types of masks and equipment, so taking the time to find the right match for you could be worth the effort. For some people, weight loss—especially if their neck circumference is large—is a way to avoid sleep apnea surgery and CPAP. But sleep apnea can affect people of all ages and sizes. Men are more likely to have sleep apnea, but women can have the condition, too. So to answer the question, “Can sleep apnea be cured?” the answer is usually yes. 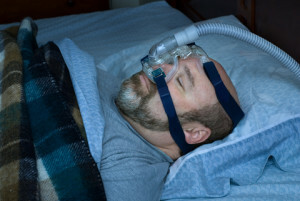 Whether sleep apnea surgery is necessary is another matter. If you or your bed partner are aware of snoring and gasping for breath during the night, tell your doctor and inquire about a consultation with a sleep specialist. Sleep apnea is a common problem, but it’s one with a range of treatment options—all designed to help people sleep better. Originally published in May2016 and updated. adenoidectomy, adenoids, apnea, apnea surgery, blood pressure, can sleep apnea be cured, children, cpap, daytime sleepiness, Deviated septum, health, health problems, high blood pressure, sleep, sleep apnea, sleep apnea surgery, sleep disorder, snoring, tonsillectomy, voice box. I thought you might be interested in this article on https://universityhealthnews.com: Should You Have Sleep Apnea Surgery?